NOTE: This website is not connected or affiliated to any other website(s) or organization(s) in any form or nature. This site does not claim or represent the Shri Sai Baba Sansthan at Shirdi. If you are interested in making a donation to the good cause of Shirdi, please contact the appropriate Sansthan Office at Shirdi. Please read our DISCLOSURES & DISCLAIMERS for additional information. About Sai Baba presents some important facts of His life at Shirdi which leads us to better understanding of His divine advent. Baba's Mission focusses upon His mission on earth, His complete undertaking of His devotees and eleven assurances. A few instances of Baba as the Supreme physician and healer are recounted here. A visit to Shirdi hands out all important information and gives a profile of important places in Shirdi. Sai Baba's Aartis is a collection of various soul stirring Aartis performed at Shirdi as the worship of the Manifested. The section on Perfect Masters offers the most inspiring introduction of some of the Perfect Masters (19th and 20th Century). 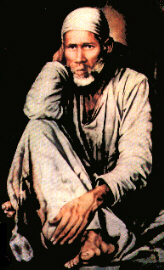 Shirdi Sai Temples and institutions in India and abroad under the aegies and in association with Revered Guruji are presented in a brief portfolio. The relevance of Sai today some excerpts of Guruji's messages are compiled. Sai Literature is useful for further readings.